Anyone who has ever been in and out of Cornwall will recognise the beloved 'nearly home' trees. 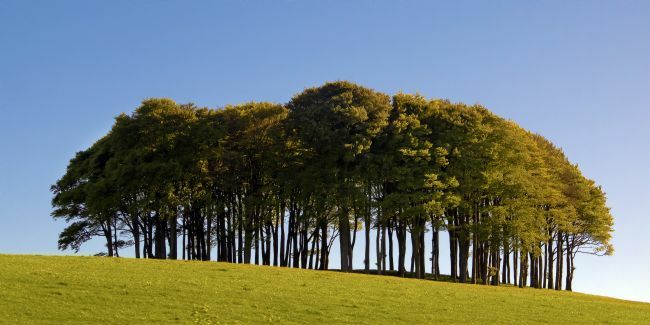 The small copse of beech trees, found on a hill beside the A30 near Lifton, marks the border between Cornwall and Devon and are a familiar sight for anyone leaving on their travels or returning home. A beautiful purple and gold iris flower on a pure white background.